We’ve been very fortunate as parents. Both our children really enjoy eating fruit and vegetables. I read somewhere that what you crave while pregnant will become your child’s favourite food. When I was pregnant with my son I gorged on fruit. In our case, that theory rings true. At 6 months, as advised, I started baby led weaning, slowly introducing solids in their natural form (not mashed). One food at a time, for one week at a time (if I recall correctly), starting with veggies. However, he only started showing an active interest in real food when he was about 10 and a half months. As I was still breastfeeding him on demand there was no reason to push solids early. My son’s first solid food was some grated cucumber. He still loves cucumber today. And carrots. I’ll often put carrots, cucumber and avocado hummus in his school lunch box and am still amazed that he actually eats it. Because I know, kids are notoriously picky eaters. And don’t get me wrong, I’m by no means saying our children eat healthily all the time. I am sorry to say, they have their share of junk food and fast food. I’m just glad they don’t resist also eating fruit and veg. So this guest post by Noor Najam is as much for me as it is for Mom’s whose kids point-blank refuse to eat their veggies. Enjoy! Parents have always struggled to make their kids drop the picky-eating habit and get veggies into their system for once. However, it seems like a dream today when pizzas and burgers are just a call away. The reason why most of the parents do not only fail to get their kids to like vegetables but further repel them is the constant pressure they put on their children. They are unable to look at things from the perspective of their kids and therefore, fail to deal with them in the right way. Here are some of the traditional and non-traditional ways that have worked for parents out there. Apply them to your little ones with patience and consistency and I am sure you will succeed! Hypnotize the little ones with colours, yes! Kids love everything that looks colourful and vibrant. 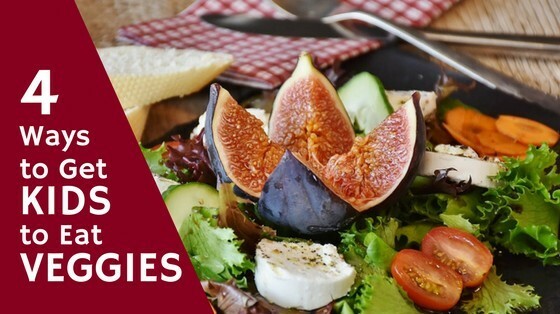 Select fruit of different colours and make a salad out of them. Then, take a few veggies and cut them the same size as the fruit. Mix everything well and that is how your kids will not be able to feel a difference. However, be honest with them if they ask you. Editor’s Note: Ooh, my hubby is brilliant at making healthy food look palatable. He chops up veggies and places them on the plate creating whatever our boy is into this week – anything from motorbikes to ninja turtles. Parents tend to hover around and direct the kids every minute while they are eating. This agitation of the parents gets the kids to further repel from anything they are eating. It is a simple psychology of kids that they repeat the actions on which they get the most attention. Every time they withdraw from food, they know that it will get you to give them attention So, give them space and let them eat on their own. Show them that you believe that they are responsible and capable enough to eat on their own. If there is only one meal on the table, the whole family has to eat it including you. When the kids see that the parents are also having the same food as them, they have no chance to complain. It is a great approach and a disciplined one. You do not need to force your kids or even say a word and you will succeed in taking some veggies down their system. They look up to you and they will definitely be more interested to have the meal you eat with so much love and focus. Kids love it when they are involved in an activity and their interest is built up that way. Therefore, ask your little one to help you out in the kitchen and make them choose the vegetables so that they know you are especially cooking for them. This way the kids would be more excited to eat the meal that they helped you prepare. Noor Najam is a 22-year old student who loves to explore food delights and ever-growing new tastes of different regions. She likes to stay fit and make healthier food choices. She thinks she should have studied a culinary related bachelor’s degree instead of her current bachelors in Social Sciences. She regularly posts on https://pateeri.com. 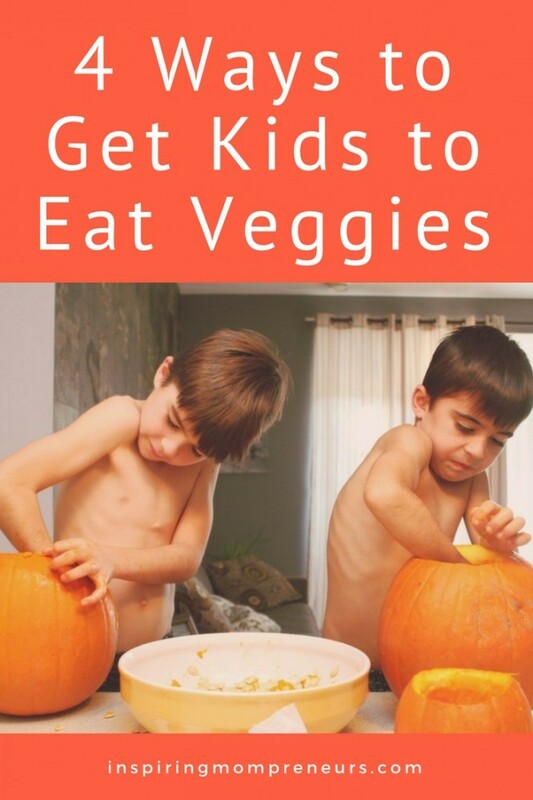 Do your kids eat veggies? Have you tried any of these methods to get them to eat? Which has worked best for you?